Don’t miss a LIVE Q&A with director Brad Bird and producer Damon Lindelof from Disney’s exciting new film TOMORROWLAND followed by the exclusive world premiere of the trailer on Monday, March 9 at 10:30am PT only on Facebook: https://facebook.com/WaltDisneyStudios. Also, check out the amazing new poster for the film above! TOMORROWLAND opens in theaters May 22nd! VIDEO: The Big Game Exclusive Look At Disney’s ‘Tomorrowland’! Check It Out! From Disney comes two-time Oscar winner Brad Bird’s riveting, mystery adventure “Tomorrowland,” starring Academy Award winner George Clooney. Bound by a shared destiny, former boy-genius Frank (Clooney), jaded by disillusionment, and Casey (Britt Robertson), a bright, optimistic teen bursting with scientific curiosity, embark on a danger-filled mission to unearth the secrets of an enigmatic place somewhere in time and space known only as “Tomorrowland.” What they must do there changes the world—and them—forever. This amazing new film made it’s way to the Super Bowl today, February 1st, showing off an exclusive look at what’s to come. Not tomorrow unfortunately, but on May 22nd, you’ll be able to get your plans together and see it in theaters! You can check out this exclusive sneak peek of the movie below! Additionally, Disney has happily partnered with Google to create Take Me To Tomorrowland, a multi-sensorial teaser experience available on both desktop and mobile. You can visit the site at TakeMeToTomorrowland.com or use Google Voice Search technology (“OK Google, Take me to Tomorrowland”) for your first in-depth glimpse of Tomorrowland. The full site will launch this spring, and will transport audiences into an unprecedented 360° Tomorrowland environment. What New Films Can You Look Forward To From Walt Disney Pictures In 2015? Find Out Here! With the new year close at hand, Walt Disney Pictures is all ready for 2015 with a ton of new films for their all ages audience to enjoy! From the beautiful world of nature to action-packed animated features. From a live rendition of our most favorite classic fairy tales to the farthest reaches of space. These newest films of 2015 are bound to leave you with a smile and the feeling of wanting more! Check out what you can look forward to seeing in theaters in 2015 below! Keep up with TI for future updates about your upcoming favorite Disney films! Disney Panel Enjoys New York Comic Con — See The Photos! Disney partook in the enjoyment of the New York Comic Con today, October 9th running a panel to the excitement of all Comic Con goers. The panel featured an exclusive look into Walt Disney Animation Studios newest movie, Big Red 6, with cast members Ryan Potter, Scott Adsit, Jamie Chung, Genesis Rodriguez, and TJ Miller along with directors Don Hall and Chris Williams and producer Roy Conli. Not only did they feature Big Red 6, but the teaser trailer for Disney’s Tomorrowland was debuted. Director Brad Bird, producer Damon Lindelof and the cast of the movie George Clooney, Britt Robertson, Hugh Laurie, and Raffey Cassidy also were in attendance. Also, artist Syd Mead and Brad Bird happily signed exclusive Tomorrowland prints for fans at Comic Con. Check out these fantastic pics from their big day at New York Comic Con below! 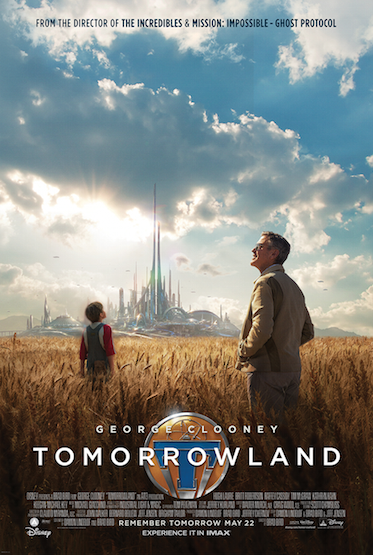 Walt Disney Studios Presents ‘Tomorrowland’ Teaser Trailer — Watch Here! New York Comic Con goers were the first to get a peek today, October 9th, at the new teaser trailer for Walt Disney Studios new movie Tomorrowland directed by Brad Bird and starring George Clooney, Britt Robertson, Raffey Cassidy and Hugh Laurie. Tomorrowland is an adventure movie full of mystery. George Clooney, a former boy-genius, and a bright, science-loving teenager named Casey set out on a dangerous mission to discover the secrets of a place somewhere in time and space known only as Tomorrowland, where their actions affect themselves and the world. You can catch Tomorrowland in theaters coming out on May 22nd, 2015. 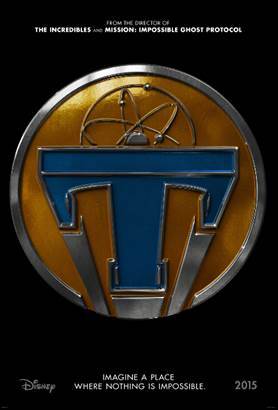 Also, make sure to read an exclusive feature for a First Look at Tomorrowland on EW.com HERE. Check out the debuted teaser trailer below!